Galway was busy yesterday. Preparations were in full swing for the arrival of the Ocean Race and a big week-end of celbrations was about to begin. Lots of people around as well. But first Crannóg 30 had to be launched. The Crane Bar upstairs room was almost full and eleven of those featured in the magazine were present, ready to read their offering to the knowledgeable audience. Our host was Tony O'Dwyer, pictured above, one of the editors and he welcomed everyone and pointed out that Crannóg was celebrating its tenth year of publication. The launch of the next issue will see some celebration of those ten years. The readings were good. The usual variety in theme and style and great delivery. The many readings, open mics mean that rarely now do you hear a poor delivery of a poem or prose piece. Two stories were read, both with a theme of loss, both wonderfully crafted, one from a father's point of view, one from a mother's. Elizabeth Brennan's Holly starts The last time Matt saw Holly was the morning of the day she died. A great start, telling us a lot but leaving so much to be filled in. Susan Dumars had a topical poem about the band leader on the Titanic. His name was Wallace Hartley and Susan's poem was a gentle meditation on the catastrophe and immortality. Longer than the screams, the prayers, . . . we will hear your song. The readings ended with a poem by Jarlath Fahy which would have fitted in well in the Battle of the Books satire competition in the Trim Swift Festival next week-end. I thought of signing him up for our team but that might make the Meath Writers Circle even more annoyed. His poem Sceptic Tank (no typo there) took a swipe at a number of targets including the eurozone crisis and the "septic tank tax". I read my Bluebell Wood poem and introduced it as one of those Where the hell has my life gone poems. Reading aloud is a great test of a poem. you can feel as you read if it works or not. This one worked well. A very enjoyable evening. Some discussion on reading aloud, editing and some reflections on the joys of editing a magazine. I didn't stay for the Ocean Race week-end. Issue 30 of Crannóg, the literary magazine based in Galway, is being launched this Friday at 6.30 pm in the Crane Bar, Sea Road, Galway. copies can be purchased on the website. 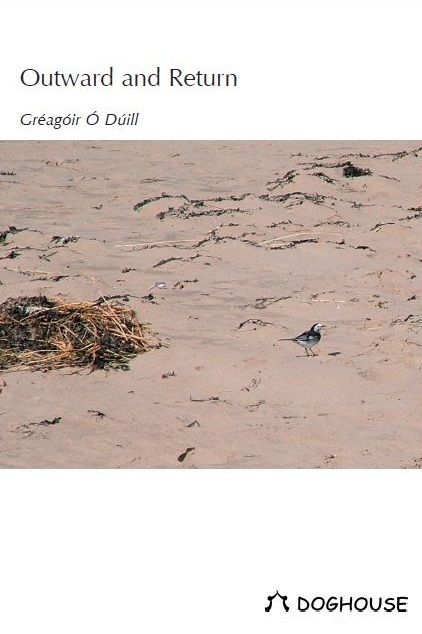 Crannóg was the first magazine to publish any of my poems and so it has a special appeal for me. I'm delighted to have a poem in this issue and probably will go down for the launch. My poem is called Bluebell Wood, recently written. I also have a poem, or rather an extract from a poem, in the latest issue of Can Can. 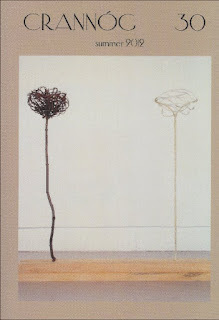 This issue is called the "from" issue and features extracts from longer works by thirteen writers. Can Can prides itself on its "high-quality writing and a low-production-values aesthetic". My extract is one section from a long poem called To the Centre and Back - a Dental Odyssey which sort of describes a walk from Ballsbridge to the city centre and back. OK I took a bus back but then the poem was already long enough. It is interspersed regularity with fascinating information about the history of dentistry. Richard Halperin, Dave Lordan and a trio of Canadian poets, Natasha Cuddington, Derek Beaulieu and Carolyne Van Der Meer are also included. Carolyne's poems deal with the jealous man and woman tomb in Newtown, Trim, which she visited when she was in Ireland for the launch of Boyne Berries 10 last September. Unfortunately there won't be a launch if this issue of Can Can but you can buy copies of the magazine on the website. The covers coming off! Early on Saturday at Stormont Cricket Ground, the ground staff have performed miracles and the pitch is playable. 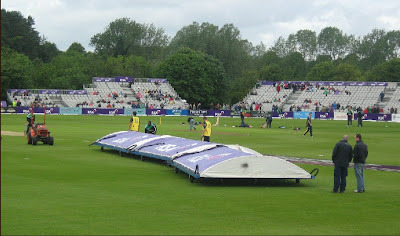 The match between Ireland and Australia started at 11.30 but we only got 10 overs before the rain came and play was stopped. After a number of pitch inspections the match was finally abandoned at 4pm. Well the forecast was bad and I wasn't surprised. Not a totally lost day. I saw Brett Lee bowl and bowl well - he took wickets with the first and third ball. And a great catch by Australian captain, Michael Clarke. And I met New Zealand-born Irish poet and amateur cricket player, Ross Hathaway. He recently launched a new poetry collection with Seven Towers, Pretending to be Dead. We apologised for missing each other's launches. He plays wicket-keeper on the Evening Herald Taverners team. The two Australian players in the picture above are veteran Brett Lee on the right and new fast bowler, Patrick Cummins. Irish coach Phil Simmons is in the centre. The winning poem, Tilford by Marilyn Francis, in the recent Prole Poetry competition, in which I finished third, had cricket as a theme. I've entered this competition, the Manchester Cathedral International Religious Poetry Competition, a few times but never with any success. Difficult to judge what might go down well - clearly religious poems or vaguely spiritual ones, whatever either of those actually means. Ah well, it's all subjective anyway. Having looked at the judge's bio and taking into account my previous experience I'm afraid thw two I've entered this year may be too religious and not spiritual enough. No online entry facility but you can post the endtry and pay by credit card over the phone. Not much time left - Closing Date: Friday June 29th 2012. Last year’s competition was considered a great success with over 200 people sending in over 400 poems, many of which were from outside the UK. This year's judge is Suzanne Batty. Suzanne’s poetry collection The Barking Thing is published by Bloodaxe Books. Her poems and short stories are widely anthologised. She teaches Creative Writing at Sheffield Hallam University. Suzanne also leads writing workshops for people experiencing and recovering from mental distress. 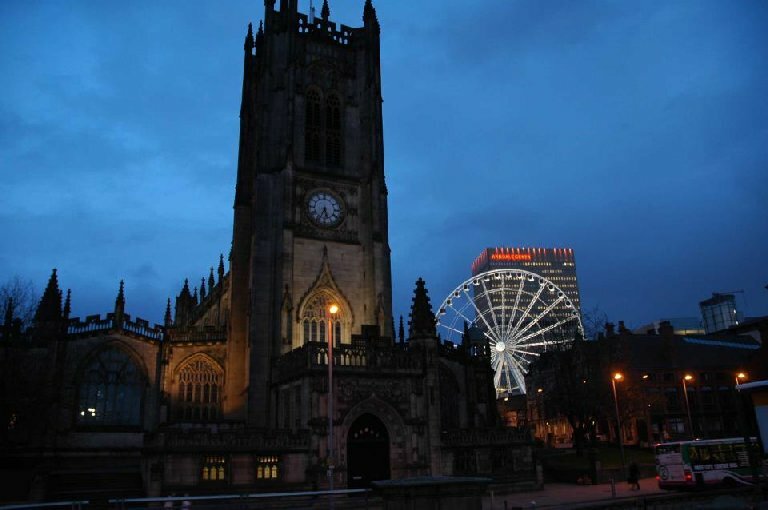 1st Prize is £450 and the winner of the First Prize will be designated ‘The Manchester Cathedral Poet of the Year, 2012.’ 2nd Prize £250. 3rd Prize £150. The poems submitted should be ‘broadly religious,’ that is, ‘spiritual’ in nature and, like all good religious poetry, appeal to those who would not necessarily describe themselves as such. ‘Religious’ thus includes poems that are Christian, as well as those from within other faith traditions. Those struggling to discover their own sense of the sacred are also invited to submit entries. Poems are welcome in any style or form and will be judged solely on their merits as poetry. ENTRY FEE: £4.50 for the first poem & £2.00 each for others. The entry form should be available from the Manchester Cathedral website. I was very sorry to miss the launch of Orla Fay's poetry chapbook, Drawn to the Light, at the Boyne Readings and Open Mic on Thursday. By all accounts it was a great occasion with a large appreciative audience and a powerful reading by Orla. 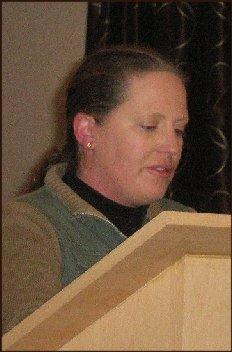 Frank Murphy of the Meath Writers Circle was there and has included an audio of Orla reading on his Tara Poetry Blog. And Orla herself has some comments on her blog. Pictures by Paddy Smith. Above - Orla reading. Below - Relaxing before the reading, Orla front left with two of her most dedicated fans. 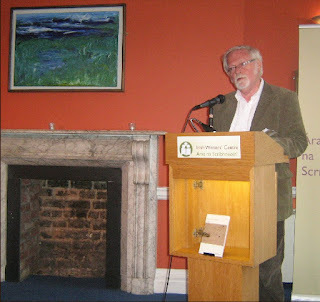 Outward and Return, the new poetry collection by Greagoir O'Duill (above) was launched by Jack Harte, writer, at the Irish Writers Centre, Dublin on Wednesday evening. 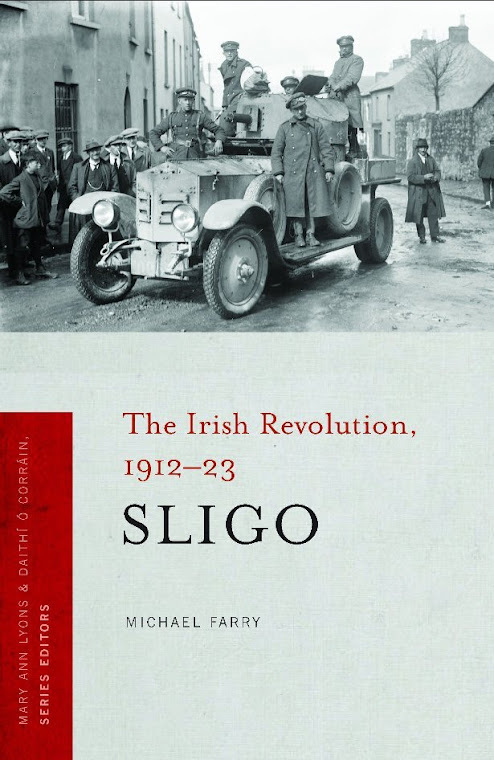 Jack Harte (below), a Sligo native, praised the collection highly and noted that the author was a bilingual poet, writing with equal facility in Irish and English without any great fuss or drama. Greagoir read from the collection. 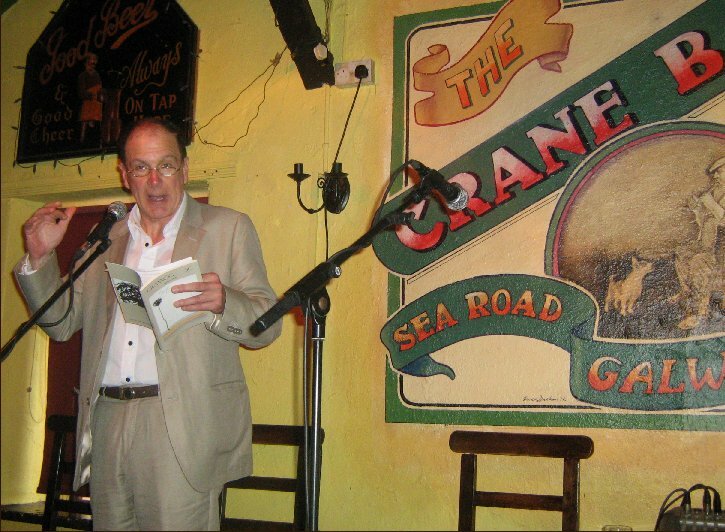 His poems range from Dublin to Donegal and further afield to Chicago, Venice and Monaco. He read his wonderfully titled A Ford Anglia Dumped on a High Bog Road after Derek Mahon, influenced he said, by Mahon's disused shed in Wexford poem. And on Friday 22 June Doghouse Books invite you to the launch of Slow Mysteries by Monica Corish to be launched by Brian Leyden, author. The venue is the Yeats Building, Sligo and the time 7.30pm. Admission: free. All are welcome. This is one I am very sorry to miss. I was in the Yeats Building on Yeats Day this year and Brian Leyden read at the official launch in Drumcliff. Our June Boyne Readings and Open Mic which takes place on this Thursday is special. 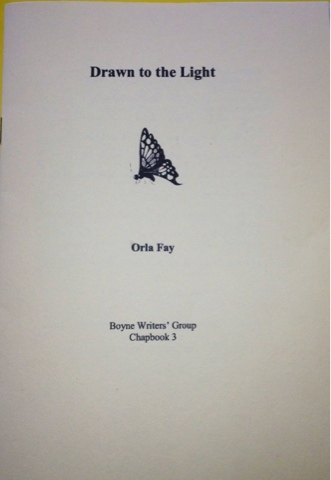 It sees the launch of Orla Fay's poetry chapbook called Drawn the Light. 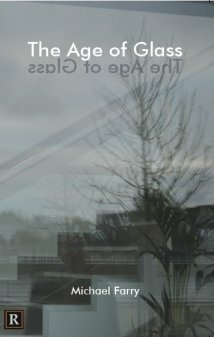 This is the third Boyne Writers chapbook, Brendan Carey Kinane and myself have already published one each. Orla, seen here reading at the May Open Mic, has become a well known presence in poetry magazines, print and online and her name appears with regularity in Poetry competition winners and commended lists. She is also an accomplished short story writer having had one of hers selected for the Lonely Voice Short Stories series at the Irish Writers Centre last year. She blogs regularly about her poetry and other matters here. 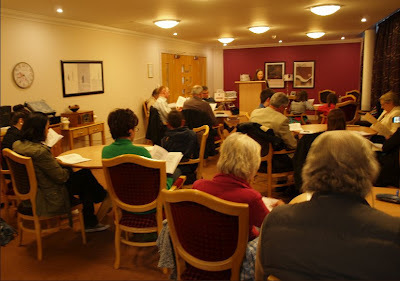 The Readings and Open Mic will take place on Thursday evening, 21 June (the summer solstice) at 8pm in the Knightsbridge Retirement Village Coffee Shop, Longwood Road, Trim, Co. Meath. Paddy Smith, Chairman of Boyne Writers' Group, will be MC. An open mic session will follow the launch of the chapbook. A copy of the chapbook will be available free of cost to those who attend. All are welcome to attend and read. Admission 5 euro which included tea, coffee and biscuits will be provided. 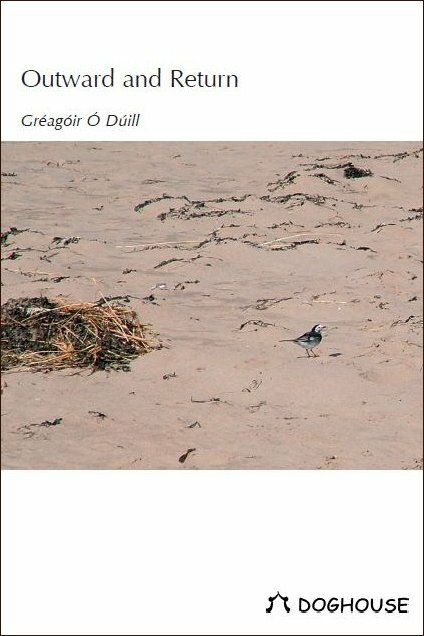 On Wednesday 20 June 2012 DOGHOUSE BOOKS invite you to the launch of Outward and Return by Greagoir O'Duill to be launched by Jack Harte, writer at the Irish Writers Centre, 19 Parnell Square North, Dublin 1 at 7.30pm. Admission: free. All welcome. I hope to make this launch by my fellow Doghouse author! We published a poem by Greagoir in Boyne Berries a few issues ago and he attended the launch and read. 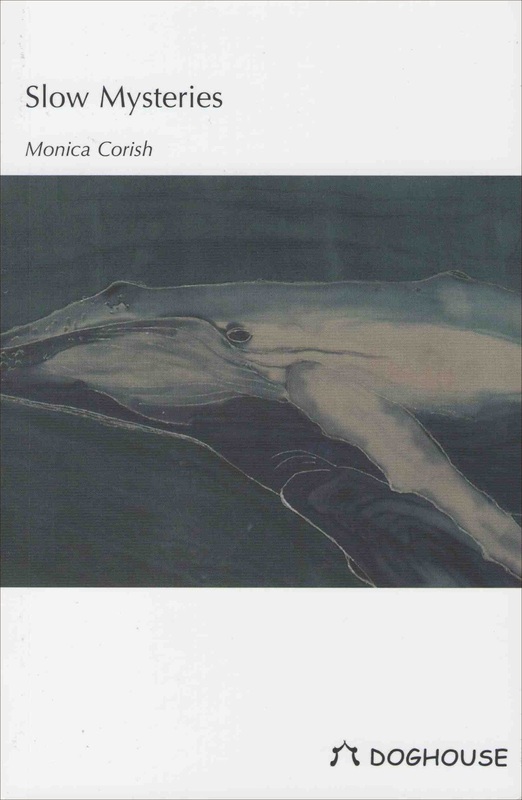 And then on Friday 22 June 2012 DOGHOUSE BOOKS invite you to the launch of Slow Mysteries by Monica Corish to be launched by Brian Leyden, author at the Yeats Building, Sligo at 7.30pm. Admission: free. All welcome. I would love to be able to go down for this but I'm afraid I won't be able to. Brian Leydon read an impressive poem as a tribute to W. B. Yeats at the official launch of Yeats Day at Drumcliff. And of course to have a launch in the Yeats building is very special for a poet. 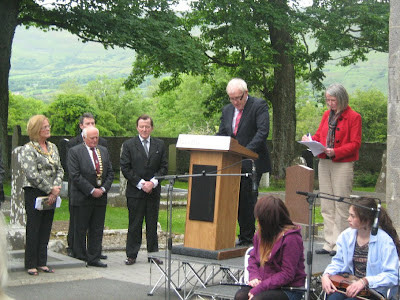 The 2012 iYeats poetry competition was officially launched on Yeats Day, last Wednesday 13 June. This online national and international competition has quickly won a prestigious reputation for the calibre of both entrants and judges. A nice touch is that they have previous winning and listed poems on their website. I was shortlisted in 2010 with Townlands and it's included with all the poems from that year here. The judges for this national and international online competition this year are Theo Dorgan and Paula Meehan. Full details and online entry available, follow the link on the website. The prizegiving for the iYeats Poetry competition will take place after the 11.30am Yeats Summer School lecture on Wednesday 1 August in the Hawk's Well Theatre in Sligo. Two prominent Trim writers have made it onto the shortlist in the flash drama competition for the Swift Satire Festival in Trim next month. Their five-minute plays were among the five selected by Padraic McIntyre, Artistic Director of the Livin’ Dred Theatre Company, Co Cavan, who blind-read the entries. The plays will now be staged – by themselves – on the final day of the festival, Sunday 8th July, at a lunchtime event in the Trim Castle Hotel called A Bite Of Satire. Gareth Mahony and Michael Farry, who have both made their mark in the cultural and entertainment life of the town, will be joined in the competition by a playwright from Wicklow Town and two writers from Bradford, England. Gareth has been very active in the local musical and drama groups as an actor and director. 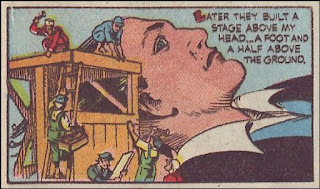 He revived the Christmas pantomime in Trim – as writer, director and cast member – and, on a wider scale, formed Stagecraft Stageschool and Meath Youth Musical Society. Recently he distinguished himself as one of the cast of three in Trim Drama Group’s production of Someone Who’ll Watch Over Me, the Frank McGuinness play about hostages in the Middle East, directed by Elaine McLoughlin. 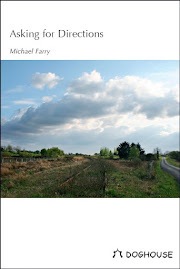 Michael Farry is a poet and historian. He said the organisers were particularly looking forward to seeing how well it would work out that the playwrights themselves must arrange to stage the plays, with their own cast and props. “The stage facilities and lighting are the only elements we are providing,” he said. The plays will be staged as part of an event, A Bite of Satire: Sunday Lunch + Extras, which will also include the annual Battle of the Books satirical writing competition between the Meath Writers’ Circle and the Boyne Writers Group. Tickets for the event cost €20 and include a 2-course Sunday lunch. They can be purchased from the festival website. I spent most of yesterday in Sligo for Yeats Day. It's what retirement is all about. I missed the morning boat trip on Lough Gill but joined in the Yeats Society Happy Birthday event at the Yeats Memorial Building, Hyde Bridge. 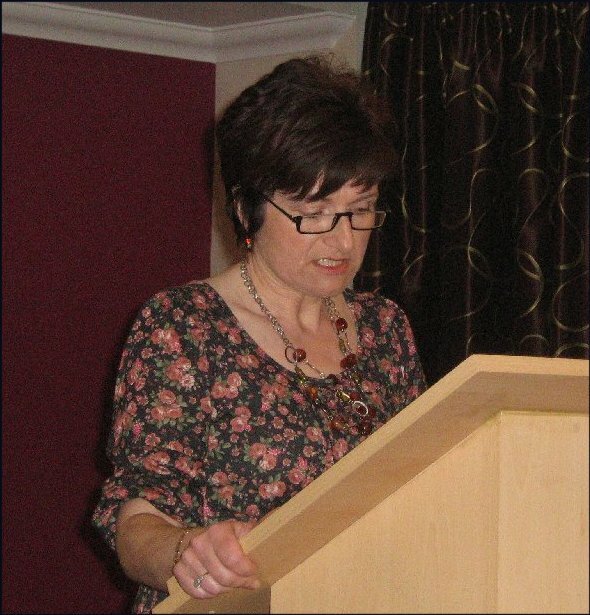 Stella Mew, chief executive of the wonderful Yeats Society, led this, sharing her vast knowledge of all things Yeatsian and reading some of the poems. Others read their favourite poems and some of their own word and we had a group rendition of The Lake Isle of Innisfree and The Stolen Child. I read what is probably Yeats' last poem, Politics,as a balance. There were visitors there from Belgium, France and the UK. I visited the exhibition in the old Pollexfen Building, Wine Street, once the home Yeats’s maternal grandfather, to see the display of some of the poet’s papers, courtesy of the National Library. We have been spoiled by that great NLI Yeats exhibition in Kildare St. and displays like this seem tiny in comparison. Then on to The Hamilton Gallery on John Street where the Japanese Ambassador was opening a specially commissioned exhibition by artist Yoko Akino, reflecting Yeats’ love and understanding of Japanese Noh theatre. Her Cat and the Moon above. These were great. If I wasn't retired and could afford . . . I had only a few minutes at the County Library’s new garden stage at Stephen Street to hear readings and choral work by young people of Sligo as I made my way to The Model Gallery for the curator’s tour of its current double exhibition Yeats & Son. Marie Bourke of the National Gallery of Ireland Education Officer spoke of the influence of Yeats' father, the artist John B. and of the difference between the poet son and the painter son.She has a very high opinion of the elder Yeats as a portrait painter. Then on to Drumcliff where the official launch of the Yeats Day took place by Minister Jimmy Deenihan TD. Lots of speeches, thanks, some poetry, reminiscences and music.Senator Susan O’Keeffe (right above) is the driving force behind the event and she thanked the enormous number of people and institutions who helped to make the day a reality. And in the Drumcliffe Tea House I had a look at the Yeats in Love Exhibition by Sligo-based illustrator and cartoonist Annie West. Again if . . . These are brilliant, have a look at them on the artist's website. Back in the town I wrote a short poem and hung it with all the others at the Yeats statue outside the old Ulster bank and wandered into O’Connell Street, which was now closed to traffic for a Happy Birthday Mr Yeats celebration. Shop windows were full of birthday cards for the poet by Sligo school children and there were Yeats impersonators, music and art installations. The rain had started and this did dampen the mood a little. Fatigue was another factor and at this stage I decided I had had enough and drove home. A great day. Happy birthday W.B.!! This seems like a great idea! The inaugural Yeats Day is being launched this year in Sligo, a dawn to dusk celebration of the great poet's birthday. 8.30am – Breakfast at the Lake Isle: A boat trip across Lough Gill to the Lake Isle of Inisfree. 11.00 – Happy Birthday at the Yeats Society: At the Yeats Memorial Building, Hyde Bridge, Sligo. 11.30 – The Living Statue: A one-day temporary installation of the public’s own poetry at the famous statue in Stephen Street. 11.30 – The National Library Collection: At the Pollexfen Building, Wine Street, a small collection of the poet’s works on special loan from the National Library of Ireland and Sligo IT. 11.30 - Yeats in Love Exhibition: A selection from the wonderful series of the same name by Sligo-based illustrator and cartoonist Annie West at Drumcliffe Tea House, Drumcliffe Churchyard. 12:00 – The Hamilton Gallery on John Street hosts a celebration of Yeats’ love and understanding of Japanese Noh theatre with a specially commissioned exhibition by artist Yoko Akino. 12.30 – Yeats Choral at the Library: The first outdoor performance at the County Library’s new garden stage at Stephen Street. 1.00– Yeats and the Abbey in his own words: In the Hawk’s Well Theatre, Temple Street. 1.00 – Yeats & Son: At the Model on the Mall, a special birthday curator’s tour of its current double exhibition. 3.30 – Yeats Day launch by Minister for the Arts, Culture and the Gaeltacht, Jimmy Deenihan TD at Drumcliffe Churchyard. 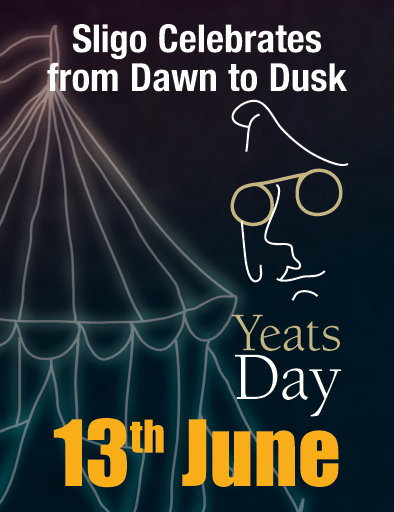 4.30 -6.30 – Happy Birthday Mr Yeats: The people of Sligo and beyond, young and old, gather in O’Connell Street to share some birthday cake and balloons enjoy poetry and music on this very special day. 7.00 – iYeats at the Hawk’s Well Theatre: Launch of the iYeats poetry competition. 7.15 – Yeats and the Abbey in his own words: Second performance. 7.15 – Party Piece: Sing, recite or play a song, poem or music in an evening’s entertainment at Hargadon’s Pub, O’Connell Street. 8.45 – No Crows at Dusk: Musicians No Crows will mark the end of the first Yeats Day in the beautiful Dominican Friary, Sligo Abbey, Abbey Street. Full programme and more details here. The Skylight Poets of Galway are now inviting submissions for a new literary magazine. Poems (no more than six with a maximum 40 lines each) and a short bio are to be sent to skylighypoets47@gmail.com by 1 September 2012. The magazine will also be publishing reviews, occasional essays and art work. The Skylight Poets are a community of writers who meet in the Galway Arts Centre for a workshop facilitated by Kevin Higgins. Some have published collections, while the work of others appears regularly in literary magazines. The group is not fixed: people take leave for a while and return, allowing for the vitality new members bring. Through the magazine the Skylight Poets hope to embrace and serve a wider community, providing a forum and showcase for emerging work. 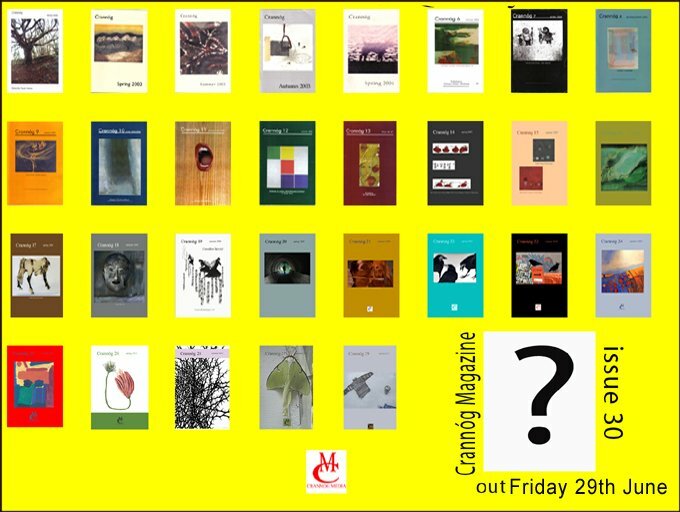 The new magazine will be launched at the tenth anniversary of Over the Edge readings at Galway City Library in January 2013, which has a regular audience of forty to sixty people. In Spring a special Over the Edge event will be dedicated to readers published in the magazine. 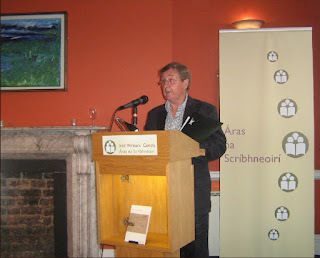 Doneraile Literary & Arts Festival 2012 will take place in Co. Cork from 30 July to 5 August 2012 and will feature the Canon Sheehan Short Story Competition; Edmund Spenser Poetry Competition. Some of the rules: Poems must not be more than 30 lines. Stories must not be more than 2000 words. Entry fee of 10 Euros. Entrants may submit only one short story or one poem for the competition. Closing date for receipt of applications is July 1st 2012. The winning prize in each competition is 1000 Euro and the Canon Sheehan Perpetual Literary Award or the Edward Spencer Perpetual Poetry Award. There are also a series of workshops as part of the festival - FREE workshops. Places limited so book early. Oil painting, Pottery and Song Writing – July 30th to 1st August 2012. Creative writing – 1st July to 3rd August 2012. Further details of competitions and workshops including application and entry forms on the website or email hudnerdiarmuid@gmail.com. 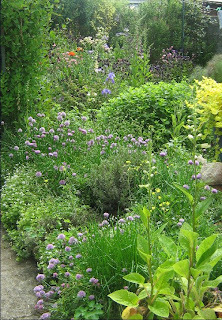 The recent warm weather plus the plentiful rain have been great for the garden. 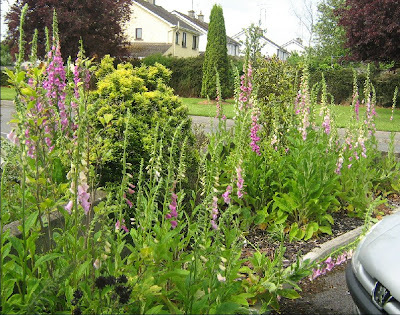 In the front it's all foxgloves this year. The one or two plants we've had there over the last few years have self seeded and the result is a profusion of foxgloves. 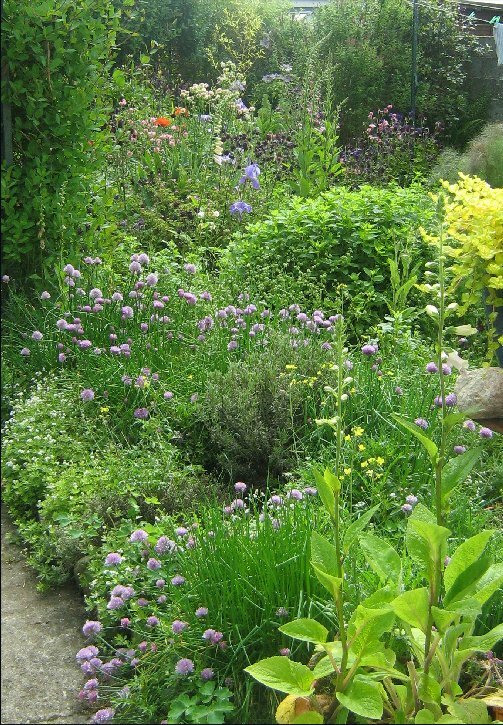 At the back blue/purple is the dominant hue at the moment - chives, irises, aquilegia, clematis with the red oriental poppies just beginning to bloom. I'd like to be able to say this colour co-ordination was planned but like everything else in the garden it's hit and miss. A successful hit is great! Photos taken last week-end before the rain and wind. Congratulations to our member, Caroline Carey Finn, on reading her prose piece Mock the Exams, Why don't you on last Sunday's Sunday Miscellany. The piece concerned school drama, learning German, working in London and using mnemonics to help in exams!! Picture: Caroline reading at our May Boyne Readings and Open Mic. You can listen back on the programmes web page here. Caroline's reading starts at 00:25:30. I was unable to attend the Goldsmith Poetry Reading and prize giving this Sunday at the poet's birthplace, Pallas, Co. Longford, but I had a very accomplished reporter there. It did rain and it was cold but in spite of that it was a lovely event, very relaxed and the beautiful setting helped. The wonderfully friendly audience was kept dry by the canopy, kept warm by the raincoats and scarves and cheered by the wonderful poetry on offer. The event was chaired by Anne Tully of the Festival Committee and the poetry competitions once again received an extremely high quality entry from all over Ireland. The judge, Noel Monahan of Windows Publications, introduced the three adult prize winners: John Noonan from Dundalk with a lovely poem about glass-blowing; Siobhan Flynn from Dublin with a poem about the last generation making and mending and re-using and of course LitLab’s own Honor Duff with a poem about making friends with a horse. Heather Brett, also of Windows Publications, was the featured reader and she read several poems from her collections with interesting introductions which were interesting and ended with a lyrical love poem. The Children’s Poetry Competition once again featured poetry from the children of primary and post primary schools in Longford and Westmeath.The prize winners in the different categories were presented with their awards. These poems, as usual, were striking in their originality. One was a terrific little poem about keeping a pet cloud in a fridge to chill out and then letting it free, another was a well drawn funny take on space invaders by a nine year old boy. The oldest girl poet had a poem about living in Pallas to tie in with the Festival’s overall theme this year of Citizen of the World. So, all-in-all a good day despite the weather, and another success for LitLab. 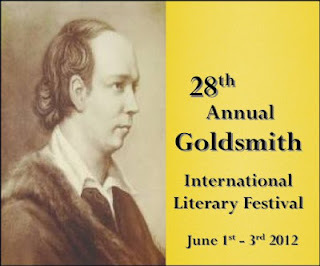 The Goldsmith International Literary Festival is on this week-end in Abbeyshrule and Ballymahon, County Longford. The poetry readings by well-known poets and the poetry competition prize winners takes place at Pallas, at Goldsmith's birthplace. I've attended this twice and it's a most enjoyable event. This year my entries went unnoticed alas but LitLab will be well represented by Honor Duff who has won third prize. Honor has been widely published and has won prizes in other competitions.Well done Honor! She told us that her prize-winning poem had been entered after having been LitLabbed. I don't know who the other prize winners are. The featured poet at the open air reading on Sunday is Heather Brett, author of three collections of poetry, the most recent, Green Monkey Travelling (Bluechrome). She facilitates arts groups and poetry based workshop projects with students of all ages and with Noel Monahan has been editor of Windows Publications for over 20 years.Their latest Windows anthology is due for launch this August. I have been highly commended in the Golden Pen poetry competition in County Galway. The readings and presentation takes place on Saturday 9 June. Again I've no idea who the prize-winners are in this competition. Last night's wine and poetry event in Carton house was an enjoyable affair. It couldn't have been anything else with such a mixture. And both the wine and the poetry were great. I was driving so my wine tasting was restricted but I enjoyed the three reds I sampled courtesy of Mitchell and Son, Dublin. The Mexican red was particularly good. Do I know much about wine? No. As much as I know about poetry I hear you say. Hmmm. This wine wants to uncork you. He's overdue, that's all we know. It was my first time to hear Iggy McGovern read and he was impressive with a relaxed delivery and poems with humour and wit. He grew up in a pub, he told us, and read his poem, The Licensed Trade describing how his house was full of advertising for drink: a clock advertising Tennants, milk in a jug saying Guinness is Good for You and the children using pencils with Double Diamond advertising slogans - another "found" poem of sorts. You can hear him read this poem here. It was a most enjoyable evening, well done to all concerned.